Two quick second-half goals by senior Jacob Barnes led the Woodlawn soccer team to a 2-1 victory over Riverdale on Thursday in a Division II regional boys soccer playoff match. The Panthers travel to Neville Tuesday for their fourth quarterfinal match in as many years. That match is set to begin at 5:30 pm. Barnes scored on a penalty kick in the 53rd minute. His left-footed kick found the bottom right corner of the net. Cody Stevenson was held in the box to set up the penalty kick. His second goal came only four minutes later. Barnes won a ball inside midfield, made a quick move and drilled a 34-yard shot off the bounce to the top left corner of the net for a 2-0 lead in the 57th minute. It was the 14th goal of the season for the Louisiana Tech football signee. 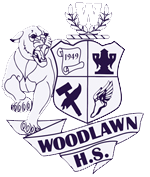 Woodlawn dominated the action in the second half and out shot the visitors 14-1. Stevenson had a shot that hit the post in the second half for the Panthers. Jakarie Davis had one save for the Panthers. Woodlawn defenders Jakobie Davis and J-myri George served as a solid back line.